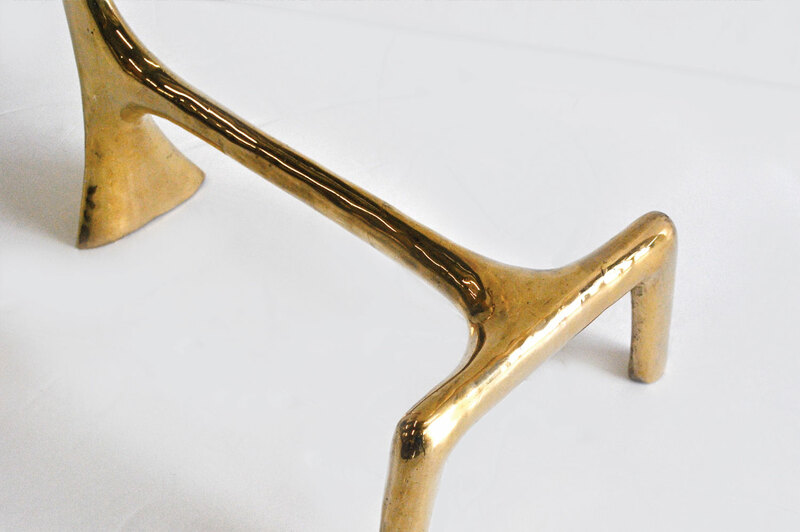 This exclusive piece is a solid brass base side table that has been brush polished. 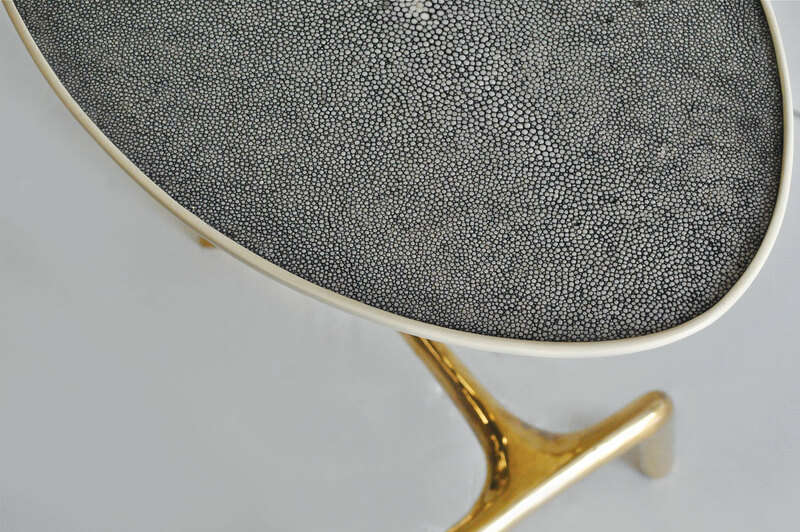 The shagreen top is madee from one rare large shagreen skin. 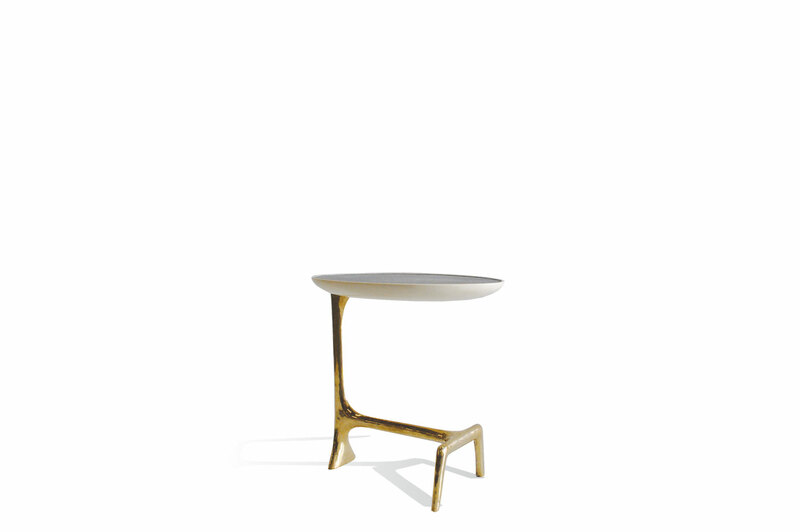 The top has a white high gloss lacquer finish underneath.